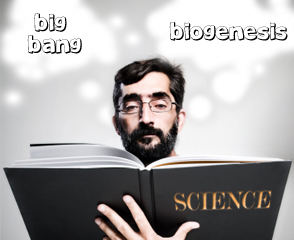 A miracle by any other name would be … called science? “The blind men approached Him, and Jesus said to them, ‘Do you believe that I am able to do this?’ They said to Him, ‘Yes, Lord.’ Then He touched their eyes, saying, ‘According to your faith, let it be unto you.’ And their eyes were opened.” Mathew 9:28–30. This is one of the many miracles witnessed and recorded as history in the Bible. Christians are often mocked by atheists for believing in such miracles as being ‘un-scientific’. Why? Because such things are ‘just impossible’ or ‘un-provable’ they might say. “We don’t see those things happening today!” is a common response. But are miracles truly beyond a rational person’s ability to believe? The World English Dictionary describes a miracle as: “an event that is contrary to the established laws of nature and attributed to a supernatural cause” (as pointed out in Miracles and Science, we believe it is more accurate to say that a miracle is an addition to natural laws). The word supernatural is described as—“of or relating to things that cannot be explained according to natural laws”. Using these definitions we can start to unravel the supposed irrationality of a belief in miracles within an atheists own framework. The Bible says Jesus restored the blind men’s eyes. Although there are many different causes for blindness (glaucoma, diabetic retinopathy, retinitis pigmentosa, macular degeneration, cataracts, Leber’s congenital amaurosis, etc.) any restoration of sight would require the arranging/rearranging of tissues made up of millions of cells, the production of thousands of amino acids all folded into specific shapes (proteins) and the tending of such tissues by biological nano machines regulated by programming akin to ultra sophisticated computer software in the brain and integrated through the person’s central nervous system. Such an arrangement in a similar mechanical construct would require brilliant engineering beyond anything mankind has yet accomplished. ‘Vision’ needs an incredible amount of organization and synchronized processes, and unlike ‘order’ seen to come about naturally in objects like snowflakes or crystals, requires massive amounts of biological information. As in any code system, biological information is not the result of random or repeating processes (the onus is on anyone who disagrees with that statement to prove that matter without an intelligent mind can produce a code system) so must have required an intelligent agent to create it. Seeing as how the information in DNA is the most sophisticated multi-code system ever seen we can then assume it came from the most sophisticated mind we can conceive; God. The Bible reveals Jesus as the one true creator God, so it makes sense that God, the Creator of sight, could restore men’s sight if He so chose. What about the skeptic? They still have to contend with the same challenge of how such biological processes could possibly have arranged themselves, except instead of an intelligent mind providing creative ability they swap in ‘deep time’, chance and ‘natural processes’ as inventive agents instead. Enough prodding reveals skeptics believe in miracles just as much as Christians do. For example, because atheists have to explain their existence without God they ultimately have to believe in life coming from non-life sometime in the past. This disagrees with the Law of Biogenesis (life comes only from life, discovered by the creationist scientist Louis Pasteur) and is therefore unscientific (disagreeing with a scientific law is by definition ‘unscientific’). Skeptics believe in miracles just as much as Christians. Atheists have to explain their existence without God … have to believe in life coming from non-life sometime in the past. 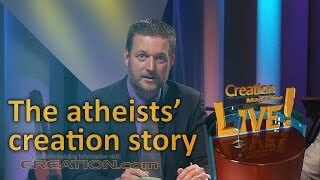 Atheistic evolutionists have to believe that this scientific law was once ‘broken’ in the distant past and that life did come from non-living matter, but that would mean that this law of science isn’t actually a ‘law’ (after all a single exception to any scientific law would render it falsified). In effect, by breaking a natural law it would have been a miracle! Because of the infinitesimal chance of a big bang (itself ‘supernatural’ [relating to things that cannot be explained according to natural laws] because it would have had to take place before the established laws of time, space etc existed) producing the miracle of such a finely tuned universe, some evolutionary cosmologists have responded by speculating a “multi-verse” theory to improve the odds of our ideal universe existing by chance. However, invoking ‘other universes’ to explain why the universe appears designed to bolster belief that the universe wasn’t designed seems like a stretch—see Multiverse theory—unknown science or illogical raison d’être? Christians and atheists both believe that miracles have occurred. 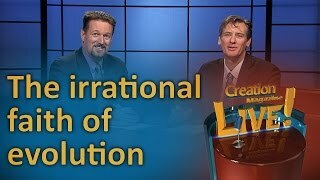 Both believe their own version of ‘creation’ by faith and point to the same evidence to support their beliefs. So Christians and atheists can agree to some degree regarding miracles as both believe that miracles have occurred in the past. Both believe their own version of ‘creation’ by faith and point to the same evidence to support their beliefs. An eternally existent being/substance may appear miraculous in the limited minds of fallible men, but the question of origins ultimately becomes a matter of which makes more sense? Did existence start from an eternal God or from eternal matter? (By the way, to believe in eternal matter defies the Second Law of Thermodynamics, which means the atheist has to believe in another miracle: eternal matter.) Whatever your answer, remember, Christians and atheists both agree in miracles. Paul Davies Australian Centre for Astrobiology, Macquarie University, Sydney, New Scientist, 163(2204):27–30 18 Sept 1999. Return to text. 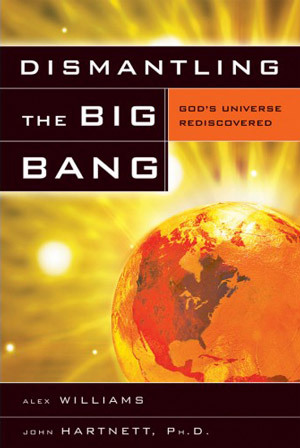 Lerner, E., Bucking the big bang, New Scientist 182(2448)20, 22 May 2004; cosmologystatement.org. Return to text. 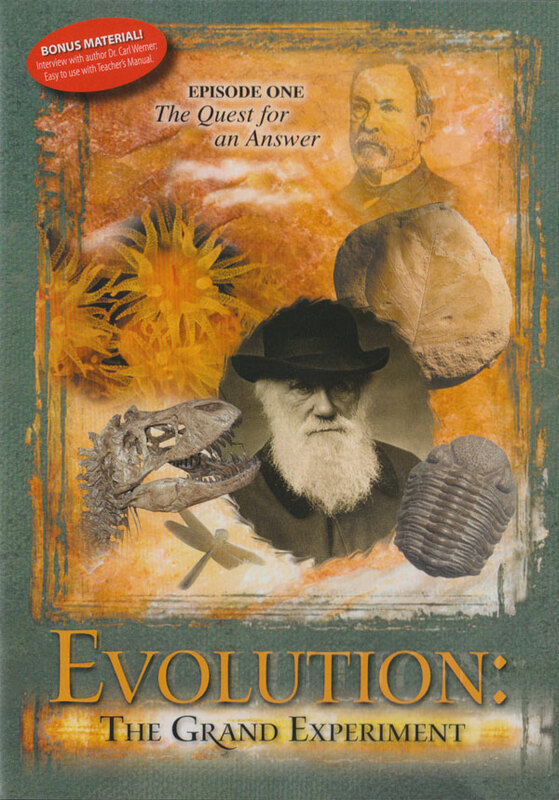 Folger, T., Science’s Alternative to an Intelligent Creator: the Multiverse Theory, Discover, December 2008, discovermagazine.com. Return to text.